wash the lentils thoroughly, until the water is clear, put aside. Heat the oil in the pot, add onions, fry until the sliced onion pieces are slightly brown. Do not burn it. Add all the spices including the salt, fry for one minute. Add the washed lentils with the water and the diced tomatoes, let it boil for five minutes, turn the heat low to simmer. When the grains of the lentil mixes with the water and looks like a paste, the lentil soup is done taste for salt if it is salty enough, take it off the stove. 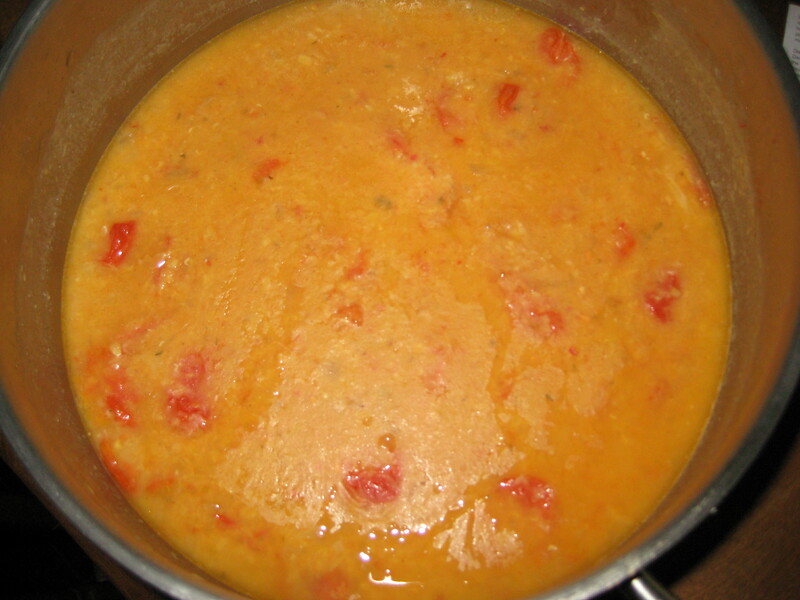 Lentil soup can be served as soup or eaten with plain boiled rice as we do in Bangladesh. They are also eaten with chapatis( Tortillas) in Punjab. Lentil is considered a poor man’s protein. Daring greatly : It takes courage and vulnerability, to, “dare greatly.” For this week’s inspiration, explore the significance of sincerity,vulnerability, and courage in your writing. That was then but this is now. I registered for the course. I could sense I wasn’t received well by the participants because I was a Bengali , in their mind I am a traitor, the reason I was an East Pakistani and we are noted for separating from West Pakistan, and have conveniently carved out a country named Bangladesh for ourselves,. I knew they hated me, why was I blamed I had no part in it, the politicians in their own interest did the damage. Let’s come to what’s happening now at this moment i.e same situation with different players. This year a new group of Pakistanis have joined the course, I quickly told on the blog I was from Bengal. Well the attitude towards me did not change. In our course we get a lesson every week, we are required to read and answer one question from the four given. The participants are encouraged to write their comment on the reply by each participant. This is where it got interesting, the Pakistanis left their comment on everyone’s reply, except mine. Can this be some kind of oversight or was it done deliberately. Well I think the latter makes more sense than the former. In this connection I’d admit two Pakistanis wrote their comment, One is an O level student who seems to have some humanity in him , the other one has studied in the US I assume this may be the reason. Today’s assignment: Write a post that builds on one of the comments you left yesterday,don’t forget to link to the other blog. This is the comment I left for Mireille’s post More Beeswax Recipes-Vapor Rub Etc. Reblogged from homemade naturally:Thank you for your Beeswax recipe, Mireille,I’d love to try it as soon as I can get the ingredients. Natural vapor rub can alleviate congestion and allow you to relax.This beeswax recipe is excellent for your skin and your ailing body. combine all the ingredients in the top half of a double boiler. Heat the ingredients just until the beeswax melts, then remove from heat. pour into small pots or jars,while the mixture is still warm. I found this post very useful and agree with Mireille. It is worth trying. Today’s assignment: create and publish your About page,then either adapt it into a widget on your home page or add it to your menu. I used to wonder why I love ‘Nature’ so much until I thought of my given name “Chaman”, it means a garden. I dislike plucking the beautiful flowers around me, I know when I pulled them out from their habitation . I am killing them. They look awesome in their own habitat. Who am I to displace them, I certainly wouldn’t want someone to remove me away from my lovely abode. I’m fond of all the colors nature presents us. I have a certain affinity with blue,in my childhood any dress I wore had to be blue or else I would rebel if my mom tried some other color. I was an okay student,my teachers were never worried about me but felt I’d be amazing if I could spare a few minutes of my playtime and concentrated on books. It never happened I went along on my own pace, I could not get the enthusiasm as my classmates did to be the top student in my class. My transformation awarded me scholarships which I was delighted to receive. I saw a part of the world which would not have been possible. I didn’t have the financial backing, my brothers helped me with my education, it would be selfish of me to ask for more support to go to England to study. Here I am a plain human being who joined the blogging community to learn more about myself and the rest of the world! I found three new neighbors. I am delighted. I will look for more. My computer ceases to function at odd times, just when I was about to post my reply to one of my neighbors it went kaput and I lost the fourteen -year-old who was really interesting. I think I will post this to show I’m really trying. Today’s assignment: Publish a post you’d like your ideal audience member to read and include a new-to-you element in it. Posted and translated by Ranu. This song and its translation is for all my friends, bloggers and others to listen and enjoy the work of a genius from Bengal, i.e. Rabindranath Tagore. The one I picked is, Tasty Thursdays’, but couldn’t register. I hope someone can help me. Today’s task : Read six posts written in response to Monday’s prompt, ‘Brilliant Disguise’. and leave comments on at least two of them. I was able to read two posts on Monday’s prompt.I liked all of them. I wrote my comment for both . Each one had a message which I enjoyed reading. In Marie Griffith’s post , she quoted Judy Garland’s Quote: Always be a first rate version of yourself,instead of a second rate version of someone else. Another post I truly agree with is the post by Crazy Canadian Saver: Why it’s pointless to keep up with Joneses. Yesterday was a busy day for me. I had an appointment at 10:45 AM . It was a very cold day the temperature was 9 degrees Celsius and it was raining. When I got out of my house I did not realize that on the 21st July it felt like Autumn. I thought what happened did I sleep through the summer, it’s the only thing I could think of. I thanked the lady for her humor. I came home three hours later, exhausted, could not concentrate on the work before me. I had to take a nap in the afternoon. My whole day was ruined, this morning I made up mind to complete day twelve assignment. Tunnel Vision: these two words immediately reminds me of narrow mindedness, just like retinitis pigmentosa, it’s an incurable disease, while the latter is an eye disease that eventually causes blindness to the patient with this symptom. The former plays with the mind and makes it blind. We make up our mind about things based on generalization. In my case when they find out I am a ‘Bengali’ they immediately associate it with the word ‘traitor’. How did this thought come to their minds? History tells us there was a certain man named ‘Mir Jafar’ was a Bengali who jeopardized the fate of the people of his country by trading secrets. He did it because of his selfish interest. Mir Jafar was a traitor , hence all Bengalis are traitors. It seems my being a Bengali, is a terrible thing. They will discriminate me just because of of this. It is becoming difficult for me to endure it. I find solace thinking , I can do something which makes me happy, Blogging is one of them. Here everyone is sincere eager to help when I need it , will never ignore me because I am a Bengali. I had the most pleasant experience a few days ago, I wrote to Michele I was unable to do Day Ten assignment, I did not understand how it can be done. I found a detailed explanation in my reply box, how to do it. It certainly made my day. Although in my reply I thanked blogger, Azhar Youssef, yet I felt it is not enough. I came to the conclusion, not everyone is narrow minded, there are a lot of them who are broad minded, which makes our world pretty special.